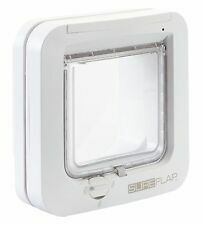 SureFlap Microchip Cat Flap.. Condition is Used. Dispatched with Royal Mail 1st class. Condition is New. 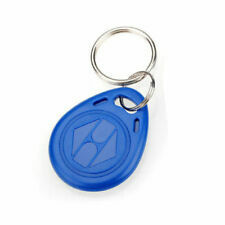 Reads your pet’s existing microchip, only opening for them. Microchip Cat Flap Connect. It’s the most advanced cat flap ever. Insights allow you to gain a greater understanding of your cat, with graphs containing information on how often they are coming and going and how long they have spent outside. Important information: The PetSafe Microchip Cat Flap reads the most common type of microchip implanted in cats FDX-B (15-digit). 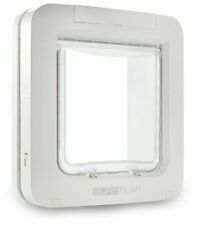 The SureFlap Microchip Pet Door Connect is ideal for large cats or small dogs, and is also suitable for multi-pet households. The 4-way locking flap can be installed into any door, window or wall. 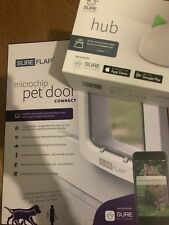 SureFlap Microchip Pet Door Connect at a glance. 16-11-2017 17:45:44. Master Plastics SW Ltd. This version has arounded bottom. · Flap is 142mm wide x 120mm high. · Can be installed in doors, windows or walls (separate kit required for walls and glass). 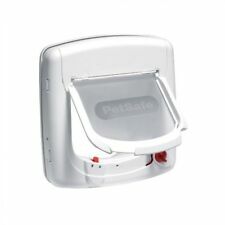 Cat Mate Microchip Cat Flap, Door, Lockable, Elite, Battery, Programmable. Condition is New. Dispatched with Royal Mail 2nd Class. 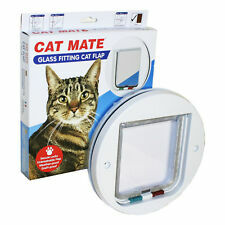 PetSafe Microchip Cat Flap Installation Adaptor, Easy Install, Glass Door and. Condition is New. Dispatched with Royal Mail 2nd Class. I HAVE NO USE FOR THEM AS, ALL MY CATS ARE MICROCHIPPED. 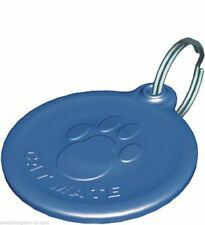 This is the larger version with Hub designed for small dogs and larger breeds of cat. Stay connected and give your pet freedom and security with a Microchip pet door. 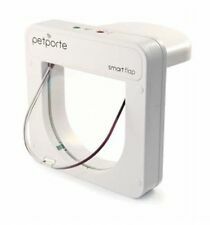 This pet door reads your pets existing microchip and only opens for them. SUREFLAP TUNNEL EXTENDER Brown compatible with microchip cat flap. Condition is New. Dispatched with Royal Mail 2nd Class. (Hole size - 165mm (W) 171mm (H). 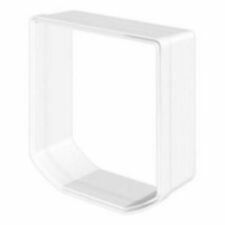 The microchip cat flap can also be installed in glass from 3mm to 6cm in thickness. A mounting adaptor is required for glass and wall installations. Selective entry – any animal can exit. ).